Gaviota SA Group will expand its capacity in Varadero with the implementation of new investments, including the new Oasis and Las Nubes hotels, the latter once completed will be the highest in Cuba´s main tourist pole, with 24 floors. Las Nubes will have 564 rooms and is located in an exceptional beach area, between Brisas del Caribe and Naviti facilities, while the Oasis, at the entrance of the Hicacos Peninsula, will be a hotel complex and will be finished in about two years. Gilberto Cruz, Head of Operations of Gaviota in Varadero, told ACN that the group's priorities include the construction of a new 18-hole golf course in an area of 70 hectares, close to Meliá Marina Varadero hotel. In Buba key, another hotel will also be built, with the particularities of being united to Libertad key through a road over the ocean, right on the very tip of the peninsula, and a virgin beach with fine sand and lush vegetation. 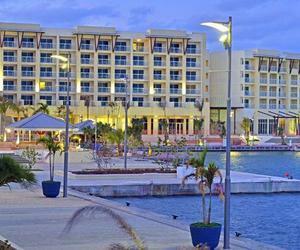 Cruz also referred to the remodeling process underwent by other facilities of the chain such as Coral Sirena, Blau Marina and the repair of one hundred percent of the bungalows of the Alameda hotel. Gaviota SA owns more than a dozen hotel facilities in Varadero and also operates the largest marina in the Caribbean area with some 1,080 berths; has a travel and transportation agency and guarantees supplies to customers of its main markets such as Canada, Germany, Italy, Spain and France, among others.